OUR CREATIVE PEOPLE ANSWER THE CHALLENGES OF BUILDING COMPLEX ENERGY PROJECTS. 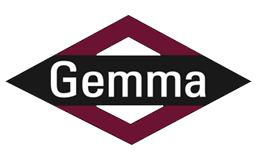 Gemma hires for a wide variety of career opportunities. Review our job listings to see if there is an opportunity that interests you and fits your qualifications. We employ intelligent, capable, high-energy people who mirror our core values. Gemma encourages our staff to challenge themselves and answer the challenges that are placed before them in the daily life of building complex projects. We offer comprehensive, nationwide health and welfare benefits to all employees, staff and skilled craft. Gemma strives to reward and support our employees with exceptional healthcare coverage, financial planning and savings resources, work-life balance, and much more. Our Glastonbury, Conn. corporate headquarters is centrally located in a desirable and lively area. Situated just outside Hartford, midway between New York and Boston, Glastonbury and surrounding towns boast highly-ranked school systems, quality housing and quaint New England charm. The area is convenient to an international airport, cultural attractions, shopping, beaches and skiing.